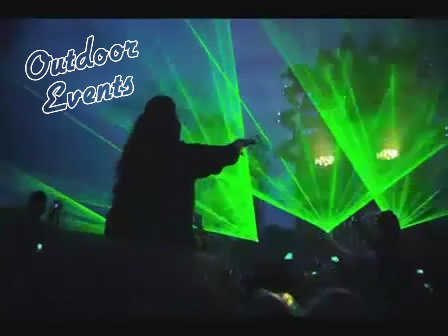 The demand for our services leads us to many locations around the globe, when we're not producing or performing our own shows we can be found installing new show laser and advertising systems, upgrading existing clients, or we may be providing creative / technical assistance and services to others including laser display companies, special event organizers, film companies and leisure installations. We regularly travel to Australasia, Oceania, South East Asia & The Pacific Rim, on very short notice. Internatlaser operate as an independent provider of laser and audio-visual related products and services or as the integral part of a team contributing to the ultimate success of any project. Please enquire regarding our rates and availability. International Laser Productions specialists for laser advertising, Laser signage systems for sale and rental. 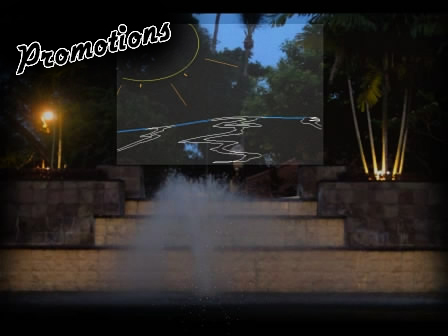 We produce and design laser art and animation for Projection. 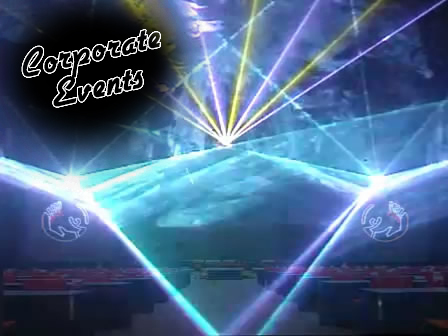 Our laser equipment is suitable for high quality laser graphics, laser effects, 3D laser projections, texts, beams and laserfx in leisure and corporate environments. When you want the best call Internatlaser.